Why should you choose Ergo Law? Ms S had a grievance against her employer we represented her, raising issues on her behalf and negotiating a settlement. Ms B was presented with a settlement agreement by her employer, we negotiated on her behalf and finalised the settlement package for her. "From the first call and throughout the whole process Emma offered me a caring, professional and dedicated service. She kept me informed of progress at all times and would always promptly respond to emails and phone calls - I trusted her implicitly and felt in safe and expert hands throughout. I am extremely grateful to Emma for all her time and efforts in handling my case and for being instrumental in securing me a better settlement - there is no doubt that such an outcome wouldn't have been achieved without her services...I would have no hesitation in recommending Emma and Ergo Law to anyone who finds themselves in a similar position." Mr M was advised by us on an employment tribunal claim against a large Edinburgh employer. 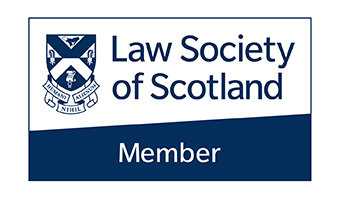 Mr L was represented by us in connection with an exit from his employment. Ms N was advised on her situation at work and we negotiated a settlement agreement. Mrs B was informed of her redundancy and handed a settlement agreement by her employer - we negotiated an improved settlement for her.